The Idea Bank helps marketers truly engage with their audiences by weaving their messaging into the Web’s social fabric. Here are ten socially-motivated steps we take in that direction. #1 – Making Contacts. Who are the key influencers in your industry or marketplace? By adding authorities and trusted sources to your social circles we help you connect with the right people, gain followers, and cultivate real relationships. #2 – Mastering Your Domain. Every company, large or small, has a unique fingerprint in the form of its “intellectual property.” Your “IP” represents your firm’s “thought leadership” in its domain of expertise. Like the proverbial “tree that falls in the forest,” if that knowledge is never seen or heard, does it make an impact? The Idea Bank provides a complete set of content development and optimization services to effectively promote a company’s knowledge and authority online. #3 – Creating Blog Appeal. We encourage team-blogging among your brain trust, your employees and even your clients. Having said that, blogs can also be almanacs, tip feeds, and/or visual (for a dental client, we created a “Smile” blog). #4 – Adding a Headline a Week. What is notable is newsworthy. We are affiliated with the leading Wire Services (both premium and public domain). Effective Web PR = effective link building, and vice-versa. #5 – Localize to Optimize. Need language, domain or shopping cart localization for international markets? SearchWrite was pleased to participate as a charter member in the inaugural International Search Summit in Seattle. From the U.K. to the E.U. and down under, we work with clients that span the globe. #6 – Translating Titles. Speaking of languages, for select postings that you make across the social media spectrum – use the same exact title and description translated into Spanish and French. You’ll be surprised at how much traffic and links they will generate (and you don’t even have to translate your content). #7 – Penetrating the Abyss. Let us help you penetrate your niche networks. NOT just the all-purpose social networks but the specialty groups. Be a big fish in your ponds! #8 – Get and Give Answers. Search is becoming more vocal and Natural Language queries in Q&A form go beyond Quora to the Amazon Echo, Apple Siri and other Chatbot agents. #9 – What’s your Sentiment? 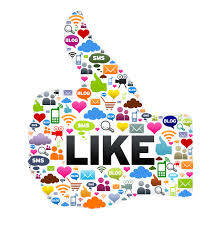 We use Social Media Monitoring Tools to track occurrences of your company name and product online. You”ll see where people are talking about you, what they are saying, whether it is positive or negative, and be able to respond to the conversation. A crucial step in reputation monitoring and management. #10 – Reputation Management. User- and media-generated reviews play a decisive role in your success. How can you accentuate the positive? Just ask us!